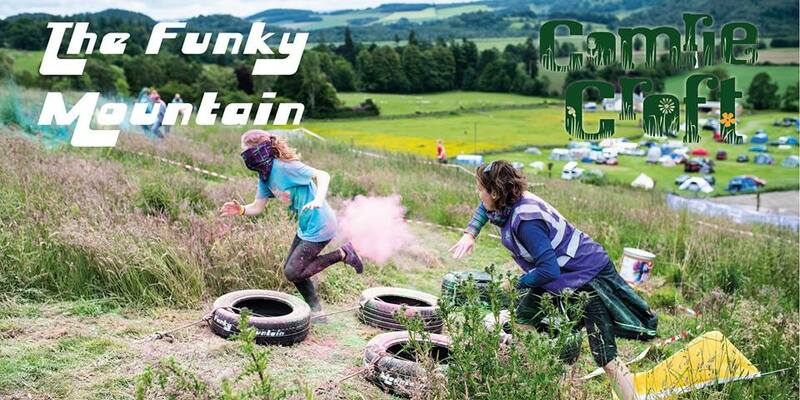 The Funky Mountain is returning to Comrie Croft for our last stand alone event of the year. There will be sun, obstacles and enough colour powder to put a grin on yer chin! But wait, What is The Funky Mountain I hear you cry?! Imagine conquering an obstacle course that has you climbing, crawling and running on all fours all while being blasted by funky colour powder, Sounds good right?! The Funky Mountain is a family friendly activity that has participants complete an obstacle course on a loop, why a loop? because our obstacle course is so good we let you do it again and again and again and again and again and again and.. well you get the point! To enhance the experience we pair each obstacle with a colour blasting station where participants are covered in a corn starch colour powder! Each Funky Mountain lasts 1 hour and all participants must be aged 6+ to take part in this fantastic event that is guaranteed to put a grin on yer chin! Why not book a weekend’s camping at Comrie Croft and have a family weekend away with a splash of colour!! For more info and for tickets visit our website!